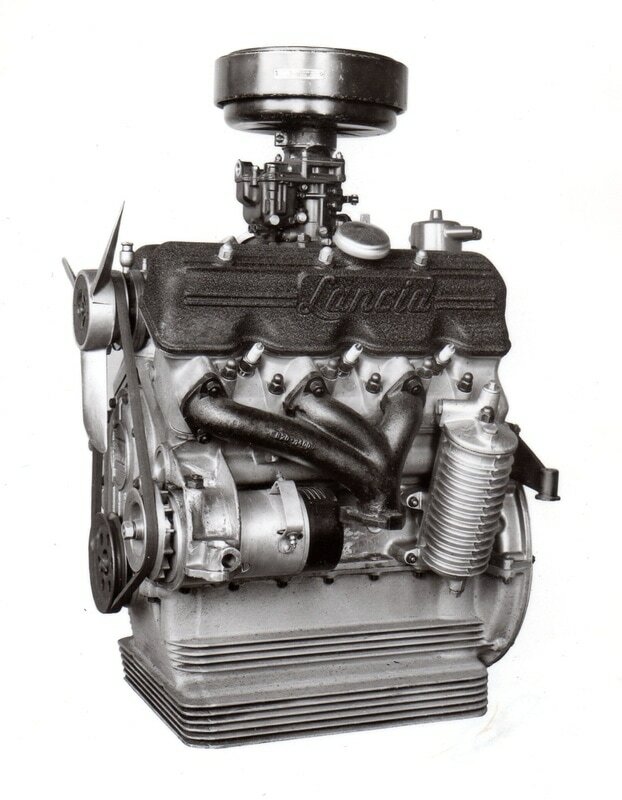 The Aurelia engine was the first production V6. It was developed first as a prototype, with its design started by Francesco De Virgilio in 1943, with a 1.5 liter engine running in 1945. The production model was closely related to this, and introduced as 1754cc V6 in the the B10 sedan. All the subsequent Aurelia motors were developed from that origin, as the motor was continually developed throughout its life. 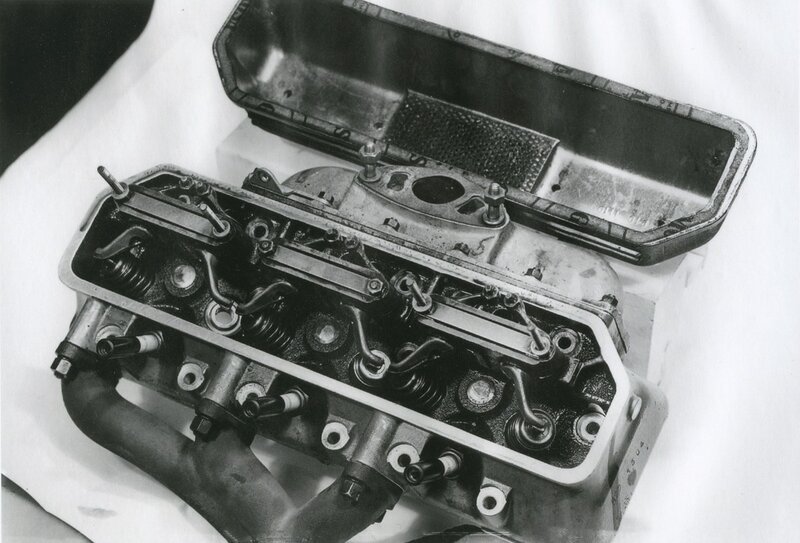 The Aurelia featured a fundamental breakthrough achieved by De Virgilio for Lancia in his solution to the crankshaft, as the V6 had previously been thought unworkable due to the balancing issues. His breakthrough, more extensively discussed in The Book, was to arrange the crankpins in a particular sequence and order so that two of the major and conflicting balancing terms cancelled each other out through design, leaving the remaining issues readily addressed. This solution was used for all the Aurelias, and indeed, is still fundamentally used to this day in all 60 degree V6 motors. ​With balancing issues resolved, the Aurelia crankcase and block were without major internal forces and able to be lightweight aluminum for a minimal engine mass. The general design remained unchanged in all the different versions, even as practically everything was revised in detail. Different displacements included 1991cc, used in the B21 and B22 sedans and the early B20 coupes, 2266cc used in the B12 sedan, and 2451cc for the later B20 coupes and all the B24 open cars. Compression - The first motor, the B10, had a compression ratio of 6.85:1. With the advent of better fuel, this was increased to 7.8 for the B21 and B22, then lowered to 7.4 in the B12. For the B20, it was initially 8.4 in the s.1 coupe, 8.8 for the s.2, and then back to 8.4 for s.3. Block castings - The basic B10 engine block was used for the first three berlinas, the B10, B21, and B22, only replaced with the later B12. The B20 motors had different block castings; the s.2 block was unique to that model only, due to revised stud locations for its new heads. The casting was changed for 2.5-liter motors, although cylinder spacing remained the same. Finally, the s.6 engine blocks had minor casting revisions. 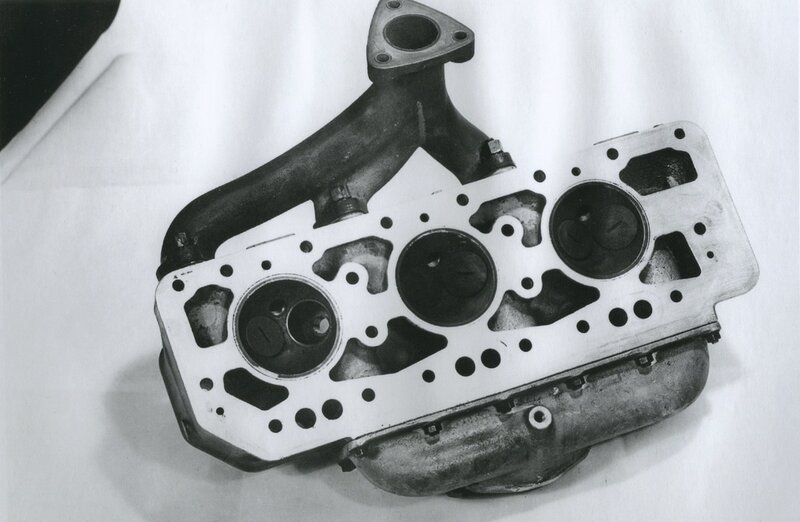 Head casting - The original heads on the B10 were first revised in 1951 for the 2-liter motors, and changed again for the B20 s.2, with its revised valve orientation. The B22 was also had new heads, with yet larger internal manifolding, only for this to be increased again for the 2.5-liter motors, with s.5/6 castings being slightly different from s.3/4. Head gaskets - Six different head gaskets were used, typically 1.5mm in thickness. A 3mm gasket was used on the B15 to lower the compression, and also on the sporty B22 of 1952, permitting their owners an easy way to increase compression by fitting a thinner gasket. Valve size - Intake valves were 31mm in the B10, changed to 34mm in the 2-liter motors; the exhausts went from 29 to 31mm. The B20 s.2 motor had 36 and 32mm valves; the B22 and B12 oddly used 31.5mm exhaust valves. All 2.5-liter motors shared the same valve sizes, 40mm intakes and 35mm exhausts. Cam - The B10 cam was typically used for many of the engines: first in the B10 engine, then in most 2-liter motors and the B12. It was revised first for the B22, with both timing changed and a higher 5.5mm lift. The B20 s.3/4 cam was similar but kept the standard 5mm lift. The the B24 Spider America used the B10 lobe profile, but with unique timing for more torque. And the totally different cam used in the s.5/6 motors used an enlarged lobe profile from the original B10. Carburetor - A Solex two-barrel with 30mm venturis was fitted to the B10, B15, and B21. Early B20s used a different arrangement, with two Weber single-barrels with 32mm venturis. The later 2.5-liter motors (from the B20 s.3 on) used a single two-barrel Weber also found on the B22. For the B12, Lancia used a single two barrel Solex carburetor again, but with 35mm venturis. These changes are summarized on the engine map below, color coded to trace the many changes.